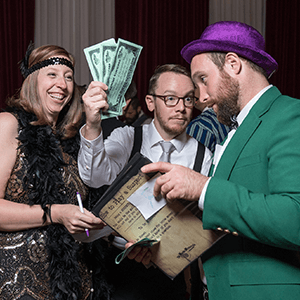 Plot the perfect mystery party with The Murder Mystery Co. in Seattle for your event from a guest list of 8 to 800 people! When you team up with our mystery experts, you get two hours of live-action Clue style entertainment! 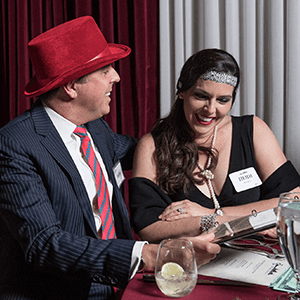 Live-action murder mystery parties are Seattle's most unique and engaging way to entertain for privately hosted events. 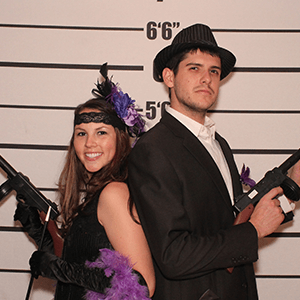 The Murder Mystery Company is Seattle’s Expert in Mystery Entertainment. Come join us for a delicious dinner and a mystery! Perfect for a unique date night, an interactive office party, or even dinner with the in-laws (We’ve all wanted to murder them at some point, right?). 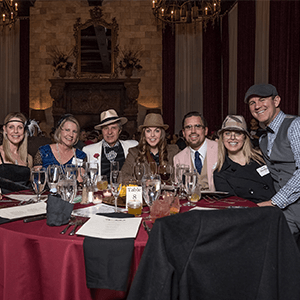 The Murder Mystery Company has something for everyone, whether it’s playing a part, watching and laughing, enjoying a savory three course dinner, or working to solve the crime! There’s so many mysteries here in Seattle, you’ve got to try solving them all! 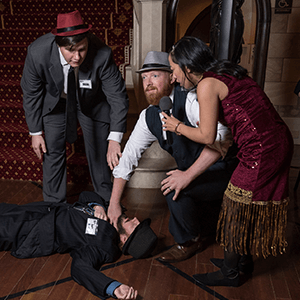 Join The Murder Mystery Company in Seattle for a unique date night out, a night on the town with family or friends, or just an exciting night of dinner theater! 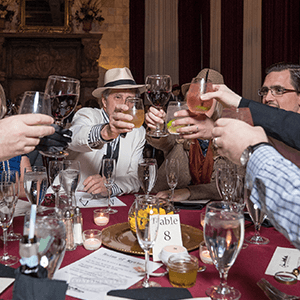 Snag tickets for an evening of interactive food and fun with friends, family, a date, coworkers, or you can even fly solo if you are feeling adventurous!